Napa area residents will have increased access to unbiased Medicare counseling and advocacy. NAPA, Calif. - Aug. 4, 2017 - PRLog -- HICAP the Medicare Health Insurance Counseling and Advocacy program is pleased to announce a new counseling site at the Napa Senior Activity Center located at 1500 Jefferson Street, Napa. HICAP counselor Kristina Grossman, a local retired nurse practitioner, wanted to give of her time to volunteer and go through the in depth training to become registered with the California Department of Aging to help people understand their Medicare health benefits. In addition to other local counseling locations, Medicare beneficiaries now have increased access for individual one-to-one appointments in their local community. "There is so much to understand, especially as we get older and use our Medicare more," says Marianne Estournes, Senior Advocacy Services Board President. Seniors and people with disabilities may have difficulty navigating through Medicare. HICAP provides advocacy and education to the many parts of Medicare such as understanding supplemental medigap plans prior to meeting with agents, identifying the most cost-effective prescription drug plans, appealing coverage denials, reviewing Advantage plan choices, and other in-depth topics. As a non-profit statewide program through the Area Agency on Aging, HICAP is the only agency authorized by the California Department of Aging to provide Medicare counseling. Unbiased educational seminars are also held throughout Napa County. This publically funded program does not sell anything, endorse nor recommend any insurance companies or agents. 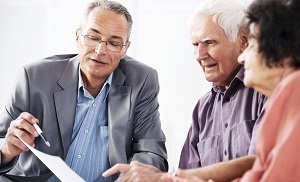 HICAP provides information about Medicare so you can make informed decisions.